JL Bordas-Beltrán, AM Arras-Vota (2018): “Mexican students’ perspectives on ICT competencies. A gender-based analysis”. Revista Latina de Comunicación Social, 73, pp. 462 to 477. Introduction: Today, human beings live in ever-changing environments that demand Higher Education Institutions (HEI), in México and the world, to innovate and respond to the demands of the labour market. HEI need to update their curricula to include the effective management of Information and Communication Technologies (ICT), which require students to possess certain competencies to achieve meaningful learning. Methods: This research study is based on information collected from students participating in the XI National Marathon of Knowledge organised by Mexico’s National Association of Faculties and Schools of Accounting and Administration (ANFECA). Results and discussion: The data show that female students’ perceived level of competence in ICT is higher than that of their male counterpart. The most representative differences were detected in the comparison between the geographical zones in which the ANFECA is divided. 1. Introduction. 2. Methods. 3. Results and discussion. 4. Conclusions. 5. References. Today, human beings are living in environments that are always in motion and whose common denominator is change. This situation highlights the need for Higher Education Institutions (HEI) to innovate to be able to respond to the demands of the labour market. Innovation requires a lot of effort to generate a change through the creation and modification of a product or service (Velenti Nigrini, 2018, p. 12). In the case of HEI, they provide a service and, thus, they must change, transform, evolve and make new things. In this sense and to respond to global needs in the planet, human capital in enterprises and organisations requires competencies in Information and Communication Technologies (ICT). Thus, HEI must undertake actions to achieve this objective, which is key in the generation of knowledge. However, although HEI have made investments in hardware, according to Sing (2010), they have not provoked a significant change in the generation of knowledge due to professors’ limited time, access, availability of resources, administrative structures, and knowledge and competencies. ... which derives from the Latin words educare, which means “to bring up”, “to nourish”, “to guide”, and educere, which can be defined as a “educate” “instruct” through various languages; and it is present in the actions, feelings and attitudes of people” (Andrade, Martínez & Méndez, 2012, p. 4). It is for this reason that education is defined as “a social process determined by a context and by the worldviews of its actors, professors, students and institutions, and is being currently modified by new socialisation and communication dynamics” (Guzmán, 2008). Therefore, ICT are a transformative agent of society and can be used to generate knowledge (Falco, 2017). Humans acquire knowledge in new ways; with globalisation and the knowledge-based society, the needs of students have changed, and HEI need to include in the curricula those competencies related to the management of knowledge and the application of technology as main tool, rather than focusing on its instrumental use (Rivera Gómez, Lau, Esquivel Gámez & Martínez Olvera, 2017, p. 98). HEI need to restructure, mix and find new connections and this requires competencies that can be developed and built upon the internal motivations of each individual (González Dueñes & Castillo Elizondo, 2017), which can be defined as “the capabilities that a person uses to cope, use, act on or mobilise a set of cognitive resources and perception and evaluation schemes to resolve a complex situation” (Guzmán Ibarra, Marín Uribe & Inciarte González, 2014). In addition, the European Commission (2007) defines competencies as “a combination of knowledge, capabilities and attitudes appropriate to the context and as those that all people need for their personal realisation and development”. Digital competence involves the safe and critical use of ICT for work, leisure and communication. It relies on competencies such as the use of computers to obtain, assess, store, produce, present and exchange information, communicate and participate in collaboration networks (European Commission, 2007). “Basic competencies refer to the knowledge required to manage technologies, which involves the use of productivity applications such as Microsoft Word, Excel and PowerPoint, as well as digital tools for the obtaining of information, the production of academic work and its presentation through diagrams and videos. Application competencies refer to the productive use of applications for information management and professional development through digital resources and networking. Thus, the use of scientific databases to build knowledge and the use of productivity applications such as Word to insert references automatically can be considered as indicators of this category. Specialised competencies involve the capacity to solve problems, create original works, plan and organise activities related to a particular project and communicate what people learned effectively through digital tools. Collaborative-work competencies involve the individual and social dimensions of education, which includes community learning and being able to interact and collaborate to build knowledge. This classification was used to advance knowledge and expand the horizon to be able to analyse the perception of students regarding their ICT competencies, based on a sample of students from various states of Mexico. It is essential to identify the needs of users, in this case students, and examine the way they interpret reality and learning (Arras-Vota, Bordas-Beltrán and Gutiérrez-Díez, 2017, p. 1190). Hence the importance of establishing the concept of perception, which according to Moreno Tello, Nelly Prado and García Avendaño (2013), “in addition to being a cognitive process, is a way of knowing the world, which is a complex process that depends on the information that the world generates, on physiology and on the experiences of those who perceive it”. People use their senses to process what they see or the reasons that make them expect them to see or observe certain things, and always make a selection, so it can be said that individuals “construct” the object that they see or observe (Martínez, 2006). Assessing ICT competencies in absolutist terms, without taking into account the perception of students, and measuring them without students, would mean continuing in a state of myopia (Duke Oliva & Chaparro Pinzón, 2012, p. 163). “There is a risk that the quality of education is defined, developed, and evaluated only from the perspective of managers, professors and administrators of academic institutions and even of the government, without taking into consideration the point of view of students, or the risk of giving students minor importance, and of taking them into account but only as a mere requisite”. Analyse from a gender perspective, the perception of students who participated in the XI ANFECA National Marathon of Knowledge regarding the development level of their ICT competencies; and compare the results between the 7 areas in which the ANFECA is divided. Are there any differences in students’ perception of their competence level in ICT between the 7 areas of the ANFECA and between gender groups? 1. There are differences in students’ perception of their competence level in ICT between the 7 of the ANFECA and between gender groups (Arras-Vota, Torres-Gastelú and García-Valcárcel, 2011). 2. There are differences in students’ perception of their competence level in ICT between the 7 of the ANFECA (Jaramillo, Hennig and Rincón, 2011). The study is based on an analytic, synthetic and theoretical, deductive method. In addition, the research is quantitative, applied, descriptive, field-work-based, and bibliographic. The data collection tools used for this study were literature review, surveys and statistical analysis. Bibliographic techniques were used to collect information for the construction of the theoretical framework and to build a framework to interpret the results. The survey was composed of items relating to the perception of students and professors regarding the development of students’ ICT competencies, based on a four-point scale; where: 1 is Not Competent; 2 is Moderately Competent; 3 is Competent; and 4 is Very Competent. 1. I am open to ways of thinking that are different to mine and allow me to enrich knowledge. 2. I have the ability to learn something new every day. 3. I have the ability to learn from all my experiences. 4. I am open to ways of thinking that are different to mine and allow me to enrich knowledge. The application of this survey was carried out when students registered to participate in the XI National Marathon of Knowledge, held on 12 October 2017, at the School of Accounting and Administration of the Autonomous University Chihuahua. The statistical analysis of data was performed with the Statistical Package for the Social Sciences (SPSS version 20.0), which is an application of predictive analytics (IBM, 2017). The National Association of Faculties and Schools of Accounting and Administration (ANFECA) is a Mexican academic institution that represents and brings together higher education institutions that offer Accounting and Administration degrees to improve the substantive functions of the faculty at the national and international levels, which are: teaching, research and knowledge dissemination. The ANFECA was founded in April 1959 in Torreon, Coahuila, by 13 institutions. 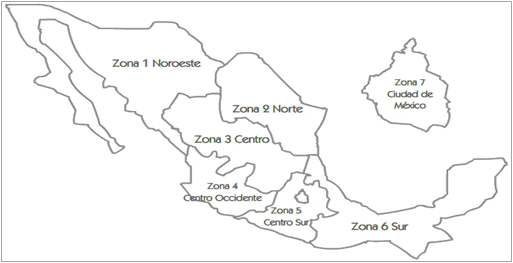 Today, the association has 274 affiliated institutions distributed in seven zones across Mexico. The ANFECA has 12 national co-ordinations: academic certification, academic, social entrepreneurship, curricula and study programmes, research, post-graduate, national marathons, history, national and international outreach, university-private sector, professional academic development, and university social responsibility. The National Marathon Coordination organises the National Marathon of Knowledge, which is a contest about information and competencies on a specific area that aims to promote the comprehensive study of curricular discipline common to the members of the ANFECA. The specific objectives of these events are to become meeting points for students from the different HEI, promote knowledge exchange; review the contents of the subjects that make up the curricula of the different schools and faculties of accounting and administration comprising the ANFECA, and tighten the bonds between students and teachers (ANFECA, 2018). The functions of this coordination include issuing the call for the national marathons of knowledge. In 2017, it issued the call for the XI National Marathon of Knowledge, which involved regional knowledge marathons that were hold in April and August. The top two contestants of these marathons went to participate in the National Marathon of Knowledge held on 12 and 13 October 2017, in Chihuahua. This national marathon had the participation of 30 schools and faculties of accounting and administration affiliated to the ANFECA. These institutions participated in specific areas of knowledge, such as taxes, management, auditing, finance, management technology and marketing. The universe of study is the composed by the 228 (out of 242) students who participated in the marathon. Other 14 students did not attend the marathon for various reasons. This section presents a comparison of the perception of the development of competencies in ICT in average values. The Student’s t-test was performed in each case to examine the differences between two independent and small samples that have a normal distribution and homogeneity in their variances (Sánchez Turcios, 2015). The first group of competencies consists of 3 items that make up basic competencies related to the management of office suite and other programs; the use given to digital tools and the use of videos to complement or improve students’ presentations. The students of the 7 ANFECA zones do not present significant differences across gender groups. It can be said that the perception of the two gender groups coincides in terms of the development of the basic competencies: both groups consider themselves to be competent. Women’s perceived competence level is higher than that of men in the three items, with an average value of 3.46, which is consistent with the results presented by Arras-Vota, Torres-Gastelú and Garcia-Valcárcel (2011), whose study found that the development of the basic competencies is perceived better by women than by men, with average values of 2.92 and 2.88, respectively. The competence level in the use of videos in presentations is rated by men and women with average values of 3.21 and 3.08, respectively. This suggests that both groups perceive themselves to be competent. This differs with the results presented by Jaramillo, Henning & Rincón (2011), whose study found out that students do not use images and/or videos in their homework. 1. I effectively manage Word, Excel, Power Point and other productivity applications. 2. I use digital tools in my academic presentations. 3. I use videos in my presentations. The following table presents the results regarding the six items about application competencies, which includes the use of models and situations to explore complex issues, the use scientific databases and whether their HEI gives them access to these databases, as well as the use of the Google and Google Scholar search engines, and the integration of bibliographic references through Microsoft Word or similar software. As shown in table 4, both women and men considered themselves to be little competent in the use of models and simulations to explore complex issues, which is the item with the lowest rating in both groups. This should be a red light for academic and educational authorities since the use of models and simulations is of great help to achieve the desired competencies. As Centella and Hornero (2017) point out, training with simulators reduce the learning time and allows users to repeat training sessions as many times as necessary to achieve the required skill level. Therefore, it allows a better acquisition of competencies necessary in education than normal training conditions which may require months or years. The results reflect, on average, a positive evaluation by students, although it is still necessary to increase the use of search engines with academic rigor and to be trained in the use of Word to incorporate references and bibliography (Arras-Vota, Bordas-Beltrán and Gutiérrez-Díez, 2017). The comparison of students’ evaluations shows only one significant difference in the competence to use Google Scholar to get information, which was differently rated by women and men, with average values of 3.44 and 3.12, respectively. This indicates that women’s perceived competence level is significantly higher than that of men. 1. I use models and simulations to explore complex themes. 2. I use scientific databases to be better informed / in search for answers to the questions arising from the subjects we study. 3. I use scientific databases available in my university to find information to write academic papers. 4. I use Google’s search engine to find out information needed to write academic papers. 5. I use Google scholar to find out information needed to write academic papers. 6. I integrate references and bibliography in academic papers automatically with Microsoft Word. Specialised competencies consisted of 7 items that address the reading of scientific articles, the breaking down of the article’s elements as well as the application of critical thinking in reviews, and the development of research projects using ICT. In relation to the specialised competencies, women’s perceived competence level is higher than that of men. Women have a significantly higher perception of their competence level than men in relation to the items relating to the ability and knowledge to generate research projects and the ability to generate and formulate, clearly and precisely, key questions and problems. Thus, it is necessary to generate strategies that allow men to improve this perception and further develop these competencies. Both women and men perceive they have a good level in academic competencies such as: identifying and defying relevant research topics, and properly use sources to contribute to the generation of knowledge; structuring complex knowledge in a consistent manner; critically understand and interpret an environment and find and manage information in a digital environment; with average ratings of 3.88, 4.12, 3.99 and 4.12 respectively. These results are consistent with those presented by Besalu-Casademont, Schena and Sánchez-Sánchez (2017). Other authors highlight students’ lack of knowledge about the use of digital media and technologies to solve conceptual problems and contribute to the creation of knowledge by participating with others in creative and innovative actions (Álvarez-Flores, Núñez-Gómez and Rodríguez Crespo, 2017). 1. I read at least five scientific articles, using ICT, to write academic papers. 2. I can breakdown the elements of articles and make comments to enrich my academic work. 3. I create original works as a means of personal expression, using ICT. 4. I have ability to solve problems using ICT. 5. I have the capacity to build my own concepts based on other authors’ definitions. 6. I have the skills and knowledge to carry out a research project using ICT. 7. I can clearly and precisely generate and formulate key questions and problems. The section on collaborative work competencies is made up of items about whether students work as part of a team, whether they consider important to work as a team, and whether they use ICTs in this process. 1. I can carry out academic teamwork using a variety of digital resources. 2. I can participate in groups that develop projects on work production and problem solving. 3. I can perform collaborative work with colleagues using ICT. 4. I think it is important to work as a team using ICT. There are no significant difference in the responses of women and men, which indicates that their’ perceived competence level is similar. It should be noted that women’s perceived competence level is higher than that of men. The highest ranked item among women is “I think it is important to work as a team using ICT”. These results coincide with those presented by Besalu-Casademont, Schena and Sánchez-Sánchez (2017), whose study found out that students ranked their competence level with 4.62, on scale of 1-5, the importance of using ICT in teamwork in different environments, communicate their own ideas and integrate on a common project. Other authors mention the importance of incorporating participatory processes of knowledge generation so that students can connect information in a community and achieve greater learning, and highlight that it requires the commitment of teachers and students (Arras-Vota, Bordas-Beltrán and Gutiérrez-Díez, 2017). The section on lifelong learning competencies includes three items on whether students are open to different ways of thinking, whether they have the ability to constantly learning and whether they learn from all of their experiences, as shown in table 7. The analysis of these competencies shows that both women and men perceive they have developed these competences at a good level. There is no significant difference across gender groups. It was observed that women’s perception of their competence level in all these items is higher than that of men. This is consistent with the study of Arras-Vota and Bordas-Beltrán (2017, p. 1198), in which students perceived their competence to be very high. The results of other authors also indicate that students have acquired their knowledge in an experimental fashion, essentially on a trial-and-error basis (Álvarez-Flores, Núñez-Gómez and Rodríguez Crespo, 2017). Ethical competence was assessed with an item about the capacity to acknowledge the work of others by citing them, as shown in table 8. 1. I always I acknowledge the work of others by citing them. The perception of the competence level for this item is high, which is consistent with the results of other authors such as Arras-Vota, Torres-Gastelú and Garcia-Valcárcel (2011), who found out that female and male students rated their competence level as 3.08 and 2.96, respectively. It is important to highlight the need to empower students so they can learn to cite the research works they use to develop their own, this may be through tools such as Microsoft Word, which allows users to quote the works of other authors with ease. The students who participated in the XI National Marathon of Knowledge organised by the ANFECA in 2017 perceived the level of their ICT competencies as shown in Figure 2. Figure 2 delves into the analysis of the ICT competencies of the Marathon’s participants distributed across the 7 areas in which ANFECA is divided. The analysis of the average values of all participants’ perceived level of competencies indicates that all of them consider themselves to be competent, with ratings ranging from 3.17 to 4. Zones 1, 2, 3 and 5 perceive that the lifelong learning competence is the one they have developed the most; in Zones 1, 2, 3, 4, 5 and 7 the ethical competence is the second best valued competence; the application competence is the lowest-ranked competence of all. As shown in table 9, of all zones, number 7 has the highest perception of the development of their specialisation, collaborative work, ethical and lifelong learning competencies. Meanwhile, zone 5 has the lowest perception of the development of specialisation, collaborative work, basic, ethical and lifelong learning competencies. Zone 4 gave the highest ranking to the development of application competencies; zone 6 gave the highest ranking to basic competencies; while zone 1 gave the lowest average value to the application competencies. As mentioned, the guiding research question of this study was: Are there any differences in students’ perception of their competence level in ICT between the 7 areas of the ANFECA and between gender groups? The first hypothesis has been proven partially since there are competencies such as application competencies (item: I use Google scholar to find out information needed to write academic papers, with a significance of 0.00) in which women’s perceived competence level is significantly higher than that of men. Moreover, there are specialisation competencies (items such as: “I have the skills and knowledge to carry out a research project using ICT” and “I have the skills to clearly and precisely generate and formulate key questions and problems”) with a significance of 0.004 and 0.007 in favour of women who perceive a higher level of competence than men. With regards to the differences between gender groups, although they are rare, they are statistically significant in two of the ICT competencies; women’s perception of their competence level is higher across all ICT competencies. These findings reinforce those presented by authors such as Arras-Vota, Torres-Gastelú and García-Valcárcel (2011, p. 23), whose research also found out that women’s perception of their competence level was higher than that of men. The comparative study between the 7 areas of the ANFECA yields interesting results such as the perception of zone 7 which, based on the averages rankings, perceived a higher competence level in specialisation, collaborative work, ethical and lifelong learning competencies. On the other hand, it is concluded that based on average responses, zone 5 perceived the lowest ICT competence level in specialisation, collaborative work, basic, ethical and lifelong learning competencies. Zone 1 perceived the lowest competence level in the application competencies. Academic authorities in HEI must be attentive of students’ development of competencies in ICT, since as Arcila Calderón, López and Pena (2017, p. 591) point out, in recent years “ICT have become one of the most important communication tools for institutions, people and brands...” and students can use ICT to transform information into knowledge. This is a task that must be shared by teachers and students. Arcila Calderón, C., López, M. & Pena, J. (2017). El efecto condicional indirecto de la expectativa de rendimiento en el uso de Facebook, Google+, Instagram y Twitter por jóvenes . Revista Latina de Comuniacion Social, 72, 590-607. Besalu-Casademont, R., Schena, J., & Sanchez-Sanchez, C. (2017). Competencias más relevantes en los estudios de Comunicación Audiovisual. Las percepciones de profesionales, docentes y estudiantes. Revista Latina de Comuniación Social, 72, 1536-1553. Cabero Almenara, J. (2016). La educación a distancia como estrategia de inclusión social y educativa. Revista Mexicana de Bachillerato a Distancia(15), 1 - 6. Centella, T. & Hornero, F. (2017). Entrenamiento basado en la simulación: un cambio necesario en la formación de nuestra especialidad. Cir Cardiov, 187-189. Comisión Europea. (2007). Competenicas clave para el aprendizaje permanente. Un marco de referencia europeo. Luxemburgo: Oficina de Publicaciones Oficiales de las Comunidades Europeas. Duque Oliva, E. & Chaparro Pinzón, C. (2012). Medición de la percepción de la calidad del servicio de educación por parte de los estudiantes de la UPTC Duitama. Criterio Libre, 16(10), 159-192. Guzmán Ibarra, I., Marín Uribe, R., & Inciarte González, A. D. (2014). Innovar para transformar la docencia universitaria. Un modelo para la formación por competencias. Maracaibo, Venezuela: Universidad del Zulia. Jaramillo, P., Hennig, C. & Rincón, Y. (2011). ¿Cómo manejan información los estudiantes de educación superior? El caso de la Universidad de La Sabana, Colombia. Información, cultura y sociedad, 25, 117-143. Obtenido de (25), 117-143. Recuperado en 13 de febrero de 2017, de http://www.scielo.org.ar/scielo.php?script=sci_arttextπd=S1851-17402011000200007&lng=es&tlng=es. Landero Hernández, R. & González Ramírez, M. (2006). Estadística con SPSS y metodología de la investigación. México, D.F. : Trillas. Martínez, M. (2006). Comportamiento Humano. México: Trillas. Rivera Gomez, D. M., Lau, J., Esquivel Gamez, I. & Martinez Olvera, W. (2017). Reorientación de la práctica educativa usando REA: resultados preliminares con tres docentes mexicanos de posgrado. (U. d. Gudalajara, Ed.) Revista Apertura, 9(2), 96-115. Velenti Nigrini, G. (2018). Ciencia, tecnología e innovación. Hacia una agenda de política pública. México: Flacso. Article received on 10 December 2017. Accepted on 18 February.